Samsung is breathing new life into its Note smartphone brand nearly one year after its massive recalling of fire-prone phones. The South Korean tech giant revealed the Galaxy Note 8 at an event in New York on Wednesday. The Note 8 has many of the same features that already exist on Samsung's phones like the Galaxy S8 and S8+. It touts an infinity screen, no physical home button and a finger print scanner on the back of the device. Although the Note 8 has some of its own unique features -- especially when it comes to the camera and the stylus -- this is not a revolutionary iteration. It's clear the company wants to get this latest version right; rather than throw new features against the wall to see what sticks. It's also working hard to regain consumer trust. This is the first smartphone in the Note series since Samsung's exploding Note 7 battery debacle last year. Issues with the Note 7, which stemmed from complaints of devices catching fire while charging, began shortly after its launch last summer. Some replacement phones also overheated. The recall cost the company more than $5 billion. 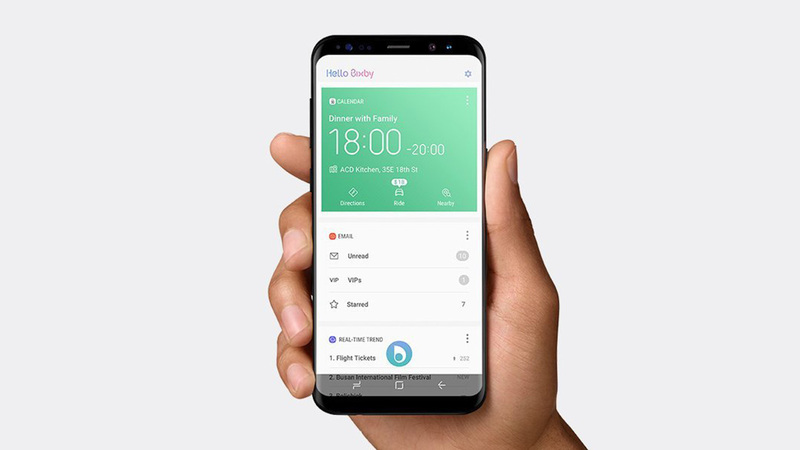 "With (innovation) comes stumbles sometimes, and that's what happened last fall," Drew Blackard, Samsung senior director of product marketing, said ahead of Wednesday's event. "Part of Samsung's recommitment was to innovate on process and quality, in addition to just technology." The company said the Note 8's battery went through an eight-step battery safety check process and underwent additional testing from a third-party safety company. "What we've done internally is ensure from design to factory floor that the battery is safe," said Suzanne De Silva, Samsung director of product strategy and marketing. "However, we (went) one step further for the launch of the device. We worked with UL (United Laboratories) for them to validate the safety of this battery." Perhaps the biggest update to the Note 8 is an improved camera -- and along with it, new photo editing tools. Samsung said its the first ever smartphone with two rear cameras that include optical image stabilization on both the wide-angle and telephoto lenses. Meanwhile, a new Live Focus feature lets users change the "bokeh effect" before and after a photo is taken. Bokeh occurs when the background behind a subject is blurred. It has been become an increasingly popular tool on the iPhone 7 Plus, where it's dubbed "Depth Effect." However, iPhone users can't edit the effect after the photo has been taken. When set to Dual Capture mode, users can also use both rear cameras to take pictures at the same time: a close-up shot and a wide-angle photo that shows the whole background. Samsung is getting more playful with its messaging tools, too. Live Message, similar to Apple's feature that lets users draw handwritten messages, lets users write messages and add special effects on top of photos. It can then be shared as a GIF. The Note 8's S Pen stylus includes a finer tip and more pressure sensitivity. Other features include a multitasking tool called App Pair, allowing users to pre-pair apps so they launch together. This means you could program the calendar app and the phone dial to open simultaneously in split screen. Beyond safety concerns, Samsung's Note 8 will face stiff competition from the newest version of the iPhone, which is expected this fall. "After last year's debacle for the Note 7, (Samsung) cannot take too many risks," said Thomas Husson, principal analyst at research firm Forrester. "But at the same time, they have no choice but to introduce very innovative features if they want to use the short window of opportunity to differentiate from the upcoming new iPhone this fall." The Note 8 will be offered in black and gray to start. Blue and gold options will be added in the future. Pre-sales for the Note 8 start in the U.S. on Thursday. It will hit stores on September 15.